Home → News → Heka's MvC2 Canyon Raft stage released! Heka's MvC2 Canyon Raft stage released! Hi to everyone ! 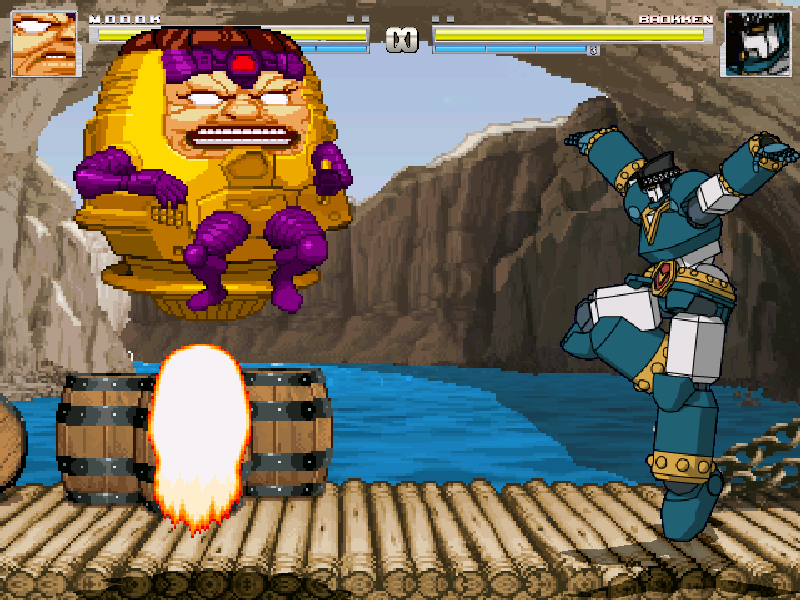 Today is Heka's mom nameday, and he'd like to celebrate it sharing with you all his lastest stage, the 1st one from his "MvC2 Revamp" stage project: Canyon Raft For anyone who has seen the raft stage on the MvC2 game or remember the mugen version, that's it !! Only, in 2D instead of 3D [:stuck_out_tongue:] Yes, his project, started by him some time ago, he wants to redo all 3D stages into 2D, with familiar graphics. All his spritework is closed source, so please ask for permission if you want to edit it. Don't claim as your own. By the way, this stage is coded by my good friend @ScruffyDragon. Hope you like it [:wink:] Ok, enough words.... Get ready to rumbleeeeee ! !